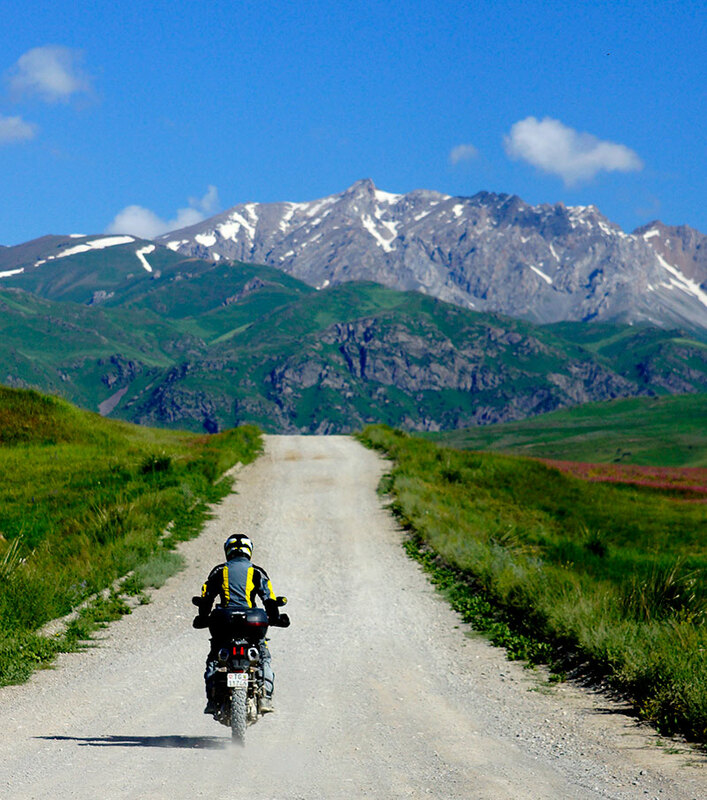 Mick McDonald, founder and owner of Compass Expeditions, has led his fair share of adventure motorcycle tours over the past 10 years. 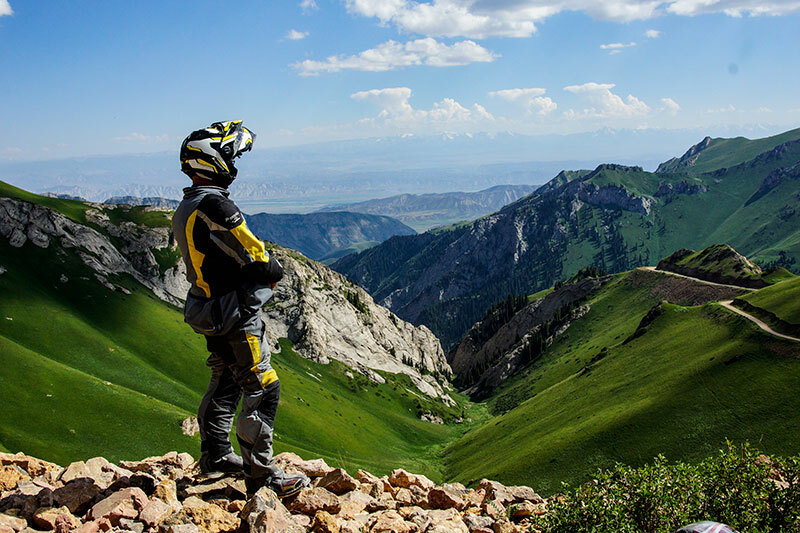 He has covered more of this world than most on two wheels and knows a thing or two about the importance of comfort when it comes to staying safe on a bike in any environment. “If you are cold or, worse, wet and cold or overheating, then you are much more likely to be distracted or become fatigued and make a mistake. That is when your wonderful journey can so easily turn to a horrible experience,” McDonald says. He should know. Over the years he has seen every manner of inappropriate ride gear brought along on tour by inexperienced and unprepared riders. 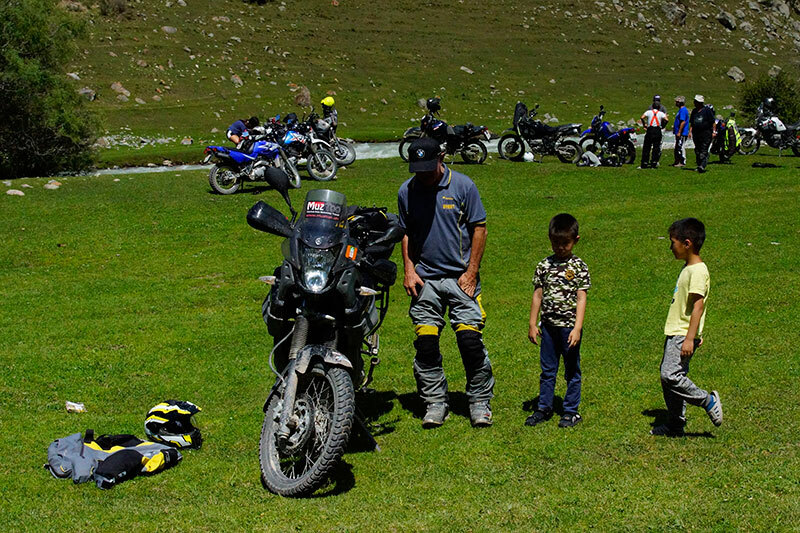 Recently, while on tour in Mongolia and Kyrgyzstan, where there can be snow and ice on the ground on the high passes, and be sweltering hot a few hours later on the lower plains, the go-to combination of Touratech’s Companero riding suit and Adventuro Mod helmet proved their worth once again. Being constantly on the move, Mick relies on the Companero jacket and pants to be the only protection from the elements that he will need, wherever it is that he will be riding. Moderating his base layers and the suit’s wonderfully designed ventilation system, he can be assured that it will do the job comfortably each and every time he steps into it, and throughout the day. Add to this the exceptional comfort, protection and convenience of the Adventuro Mod Helmet and Mick is ready for every ride. The helmet is lightweight, and feature packed with, once again, exceptional ventilation for warmer conditions that can quickly and easily shut off for when the weather turns the other way. 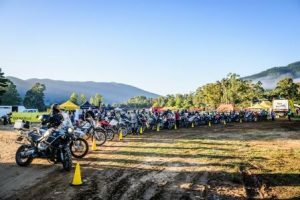 “I was looking for a quality flip-up adventure style helmet that was visible enough for the tour group to be able to follow through the crazy traffic of Ulaan Baatar, or along a remote Australian Outback track,” he adds. “Communication is key to what we do at Compass Expeditions, and the ability to quickly and easily flip the face guard up and talk to our riders is invaluable. “It is not the only flip-lid on the market obviously, but it is the most comfortable I have worn,” he says.